FixThePhoto is a service meant for professional photographers. Retouching photos can take up a significant portion of their workload, reducing how much time they can allocate to booking gigs, marketing, or actually shooting. FixThePhoto allows photographers to outsource retouching to free up more time. FixThePhoto editors work completely remote on a freelance basis. When you become an editor, you can post your services and your own retouching rates. If you have experience doing more complex work, you can set higher rates than someone just starting out. You can work whenever you want and decide how much work you want to take on. Mendr was created for both professionals and individuals who want to have their photos professionally retouched on a budget. Mendr connects those people with skilled editors who retouch the images for $2 to $30 per photo, depending on the complexity of the changes. Unlike many other freelancing platforms, there is no bidding process. On other sites, photo editors often bid on gigs, which causes profits to drop in a race to the bottom. With Mendr, you can claim any of the jobs available and start working right away. With that approach, you know exactly how much you'll get paid and there's no waiting. If you do great work, you can increase your earning potential, too. Users can request you to work on their photos and pay an extra fee to have you do the edits. You receive 100 percent of the added fee. You do not have to be a professional editor to work for Mendr, but you will need to pass a skills test. The Mendr app works similarly to other photo editing programs, so a familiarity with Photoshop or similar applications is helpful. Shutterstock frequently hires freelance photo reviewers to ensure submitted photos meet the company's standards. As a reviewer, you'll check that the photos are the right resolution, do not violate any copyright laws, and that they meet Shutterstock's guidelines in terms of content. 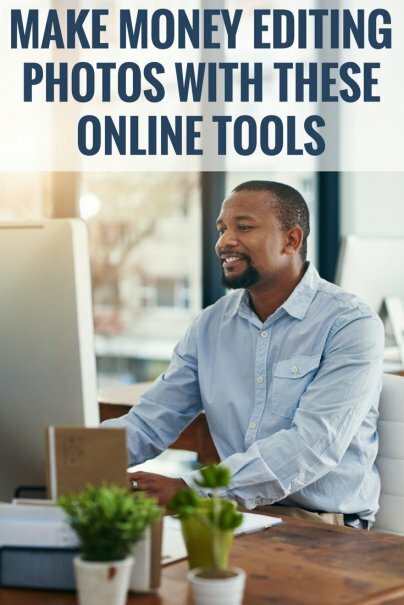 While you won't edit or retouch the photos, you will edit the photo's metadata like captions, titles, and tags so site users can find the pictures. To be eligible to be a reviewer, you must have experience with photography, either behind the camera or as an editor. You'll need high speed internet and a reliable computer. You can work up to 30 hours a week with Shutterstock, so it can be an excellent source of extra income.